Abraham B. "Abe" Koop: minister, teacher and farmer, born 28 August 1914 in Konteniusfeld, Molotschna Mennonite Settlement, South Russia to Aron and Helene (Peters) Koop. He was the second child in a family of five sons and three daughters. In 1943 he married Helena "Helen" Dyck (24 October 1924, Harris, Saskatchewan, Canada - 4 December 2012, Chilliwack, British Columbia, Canada), daughter of Peter W. Dyck (30 November 1900 - December 1988) and Helena (Epp) Dyck (25 June 1902 - 11 October 1947). They had six sons: Aron, Alan, Walter, Richard, Robert and Kenneth. Abe died 30 June 1993 in Swift Current, Saskatchewan. In 1925 Abraham Koop immigrated to Canada with his parents and siblings, first settling in Manitoba. His father Aron longed for land that reminded him of his home in Russia, so in 1926 they moved to Alberta and finally bought land in the foothills of the Rockies. Abraham Koop was baptized on 25 October 1935 in the Blumenthaler (later Springridge) Mennonite Church in Springridge near Pincher Creek, Alberta, by Rev. David P. Janzen. Abe attended Coaldale Bible School (1932-34), Herbert Bible School (1936-38), and Prairie Bible Institute (PBI) in Three Hills, Alberta (1939-41). He majored in theology and music and graduated from PBI in 1941. In 1940, at the age of 26, he was ordained to the ministry by David P. Janzen in the Springridge Mennonite Church, and served as minister in this church from 1941 to 1950. During the war he served as a conscientious objector (CO) on Vancouver Island, ministering to the other conscientious objectors working in the area. From 1941 to 1949 Abraham Koop taught at the Menno Bible Institute in Didsbury, Alberta. In 1943 he was instrumental in organizing the Alberta Mennonite Youth Organization. From 1950 to 1954 he was principal in the Swift Current Bible Institute, Saskatchewan. Every spring the family moved back to the farm to collect the livestock and to put in a crop of grain. From 1954 to 1959 he pastored the Springridge Mennonite Church. Abe was the co-editor of the family devotional Light for the Day from 1959 until 1961. In 1960 the family moved to Clearbrook, British Columbia (BC) where Abe taught in Bethel Bible Institute until 1965. 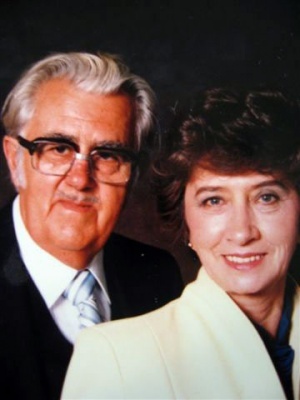 He pastored the First Mennonite Church, Chilliwack, BC from 1961 to 1967. In 1968-69 Abe did research work for the Department of Psychology, University of Manitoba. In 1970 the Koops moved to Black Creek on Vancouver Island where they pastored the Black Creek United Mennonite Church until 1979. From 1980 until 1991 he was an agent for Roberts Mutual Fire Insurance. Abe Koop belonged to the Comox Valley Writers Club, wrote numerous short stories, and loved to read detective stories. In 1991 Abe and Helen retired to Chilliwack, BC. Clark, Helen. "Koop, Abraham B. (1914-1993)." Global Anabaptist Mennonite Encyclopedia Online. April 2013. Web. 20 Apr 2019. http://gameo.org/index.php?title=Koop,_Abraham_B._(1914-1993)&oldid=155913. Clark, Helen. (April 2013). Koop, Abraham B. (1914-1993). Global Anabaptist Mennonite Encyclopedia Online. Retrieved 20 April 2019, from http://gameo.org/index.php?title=Koop,_Abraham_B._(1914-1993)&oldid=155913. This page was last modified on 3 December 2017, at 23:10.